How much are these going for these days? 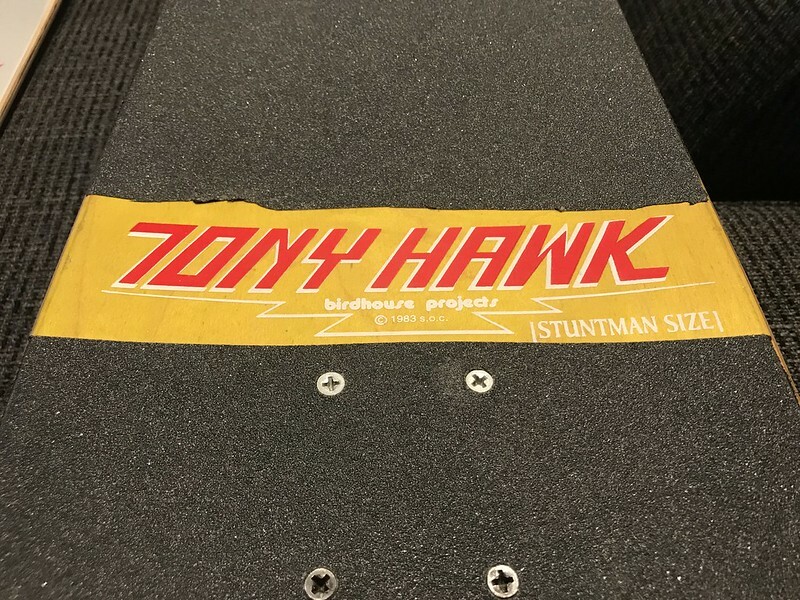 Tony Hawk [Stuntman Size] complete. 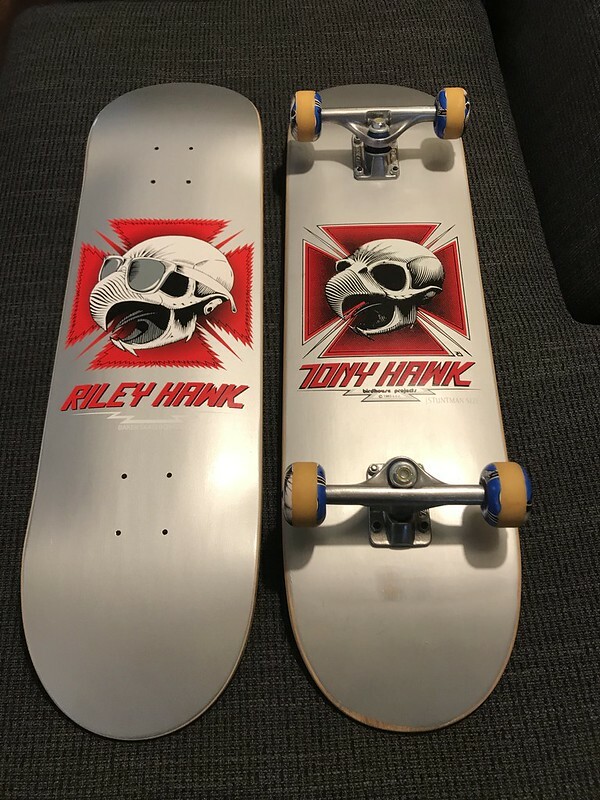 Set up with all Tony Hawk gear, Tracker TH pro model trucks, matching wheels. Lightly used. Haven't changed anything on it since I bought it years ago. Anyone got any input? Trying to figure out if it is worth selling, or if I should hang onto it. 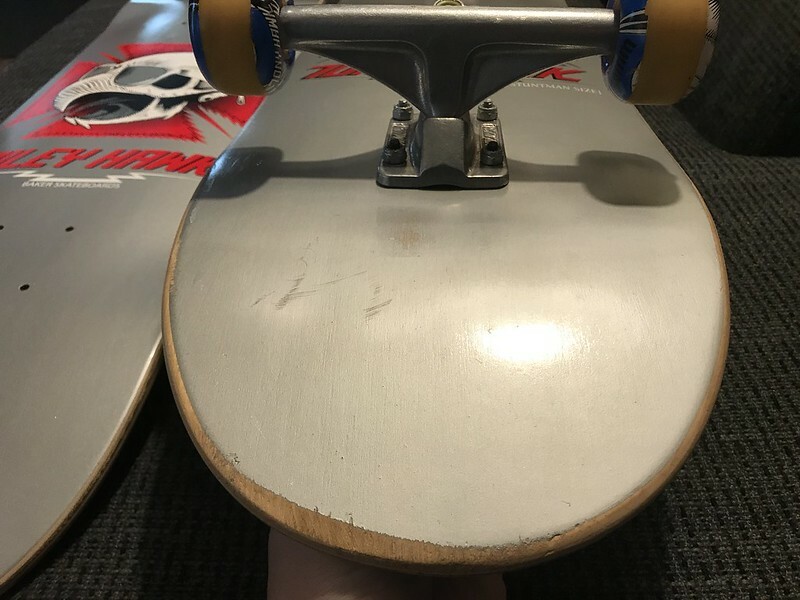 Do you have any pics of the graphic side of the wheels? I would say maybe $300. Ive seen a few for sale, usually in blue, silver or gold. I have a Nos blue stained version that I got a few years ago. I think I paid a bit over 400 for it. Id be interested in the wheels if you sell the rest.